What happens to things you flush down the toilet? No, that’s not a philosophical question. I mean literally, what happens to them? Flushed items move through a series of pipes leading out of your home and into either a septic tank or your community’s sewer system. For a majority of us, it’s the sewer system. In case you haven’t noticed, the Texas coast is flat. Very flat. And gravity doesn’t move things along very quickly so we rely on a series of pump stations to move “stuff” through our sewer pipes all the way to the wastewater treatment plant. The system works pretty well for normal waste but other items cause clogs. Things that are not meant to be flushed get caught up in sewer pipes and lead to clogs and breaks. Even little things like dental floss and cotton swabs can stick together and cause big problems. Items like wipes that are marketed as “flushable” cause problems too. They are often slow to dissolve and get caught up on one another as they try to move through the pipes slowing down the water and gradually backing things up until a full out clog is formed stopping up the pipe. 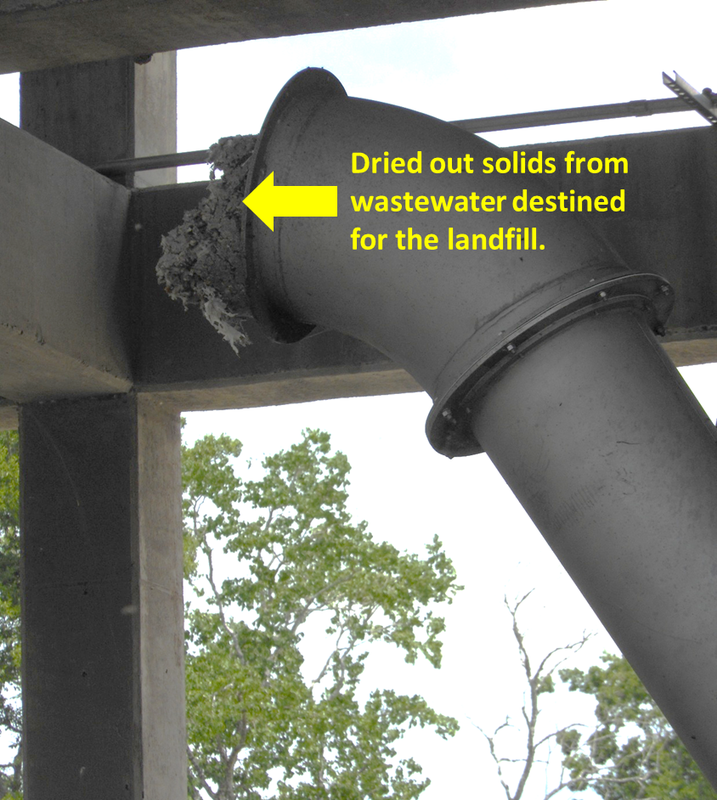 Every solid that is flushed down the pipes has to be removed at a wastewater treatment plant. Expensive equipment is used to dry out and shred the solids and then they are trucked off to the landfill. 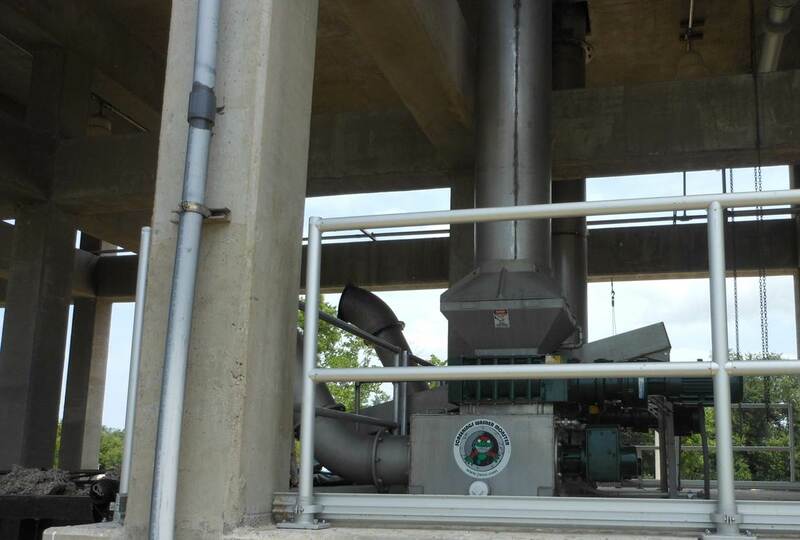 The Muffin Monster machine that removes solids at the wastewater treatment plant. Sewer overflows are not just gross, they are harmful. Untreated wastewater carries diseases and is unsanitary. It is also a source of bacteria pollution in our bayous and streams; people who swim in polluted water can accidentally ingest the bacteria and it can make them ill.
Help keep waste in the pipes where it belongs and not in our water ways. Think before you flush. Check out these stories of real clogs in Washington and London.